Learn LabVIEW and Robotics with ArgoBot! ArgoBot is built on the Digilent WF32 and includes a custom polycarbonate enclosure making it great for ramping up for FIRST team. I have been an FRC software and controls mentor for the past 5 years with Argos (FIRST Team 1756). Over the past couple of years, I have been progressively building a controls/LabVIEW training program to more quickly on-board new students. A fellow mentor and I teamed up with a local company to 'productionize' the hacked-together training bots of the past, and the result is ArgoBot! The platform is built on the Digilent WF32 development board running interface code from LabVIEW Makerhub and packaged neatly in a polycarbonate case. Playing With Fusion, Inc. is now manufacturing the ArgoBot, and has links to a YouTube series of tutorials to introduce you to the mini robot, but more importantly, train students on some of the most fundamental functions needed to be successful on the software and controls team. 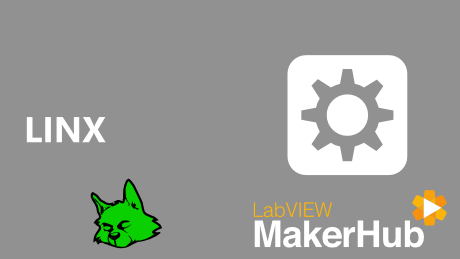 Check out projects using LINX with Arduino, chipKIT and other device to connect LabVIEW to the world. 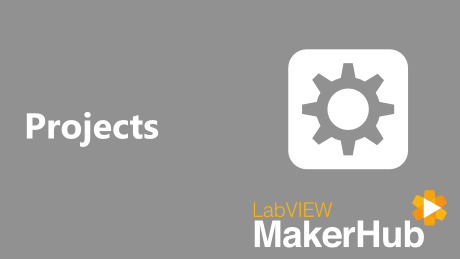 Check out what other makers are working on or share your project to be featured on the LabVIEW MakerHub website.